When people initially hear “electro-mechanical technician”, they might be confused as to what exactly the duties and responsibilities of this profession are. Generally speaking, the job involves working closely with electromechanical equipment. Here is what interested applicants should know about this occupations to see if this could be a career for them. An electro-mechanical technician is primarily responsible for the installation and application of technology. The electro-mechanical technician is also involved in the design and testing of equipment. Regular tasks include being responsible for testing, operating, and maintaining the electromechanical equipment. A technician may also calibrate unmanned or automated equipment. These professionals also work in many different areas involved with electricity, from oilrigs and deep-sea exploration to computer-controlled mechanical systems and robotic assembly machines. 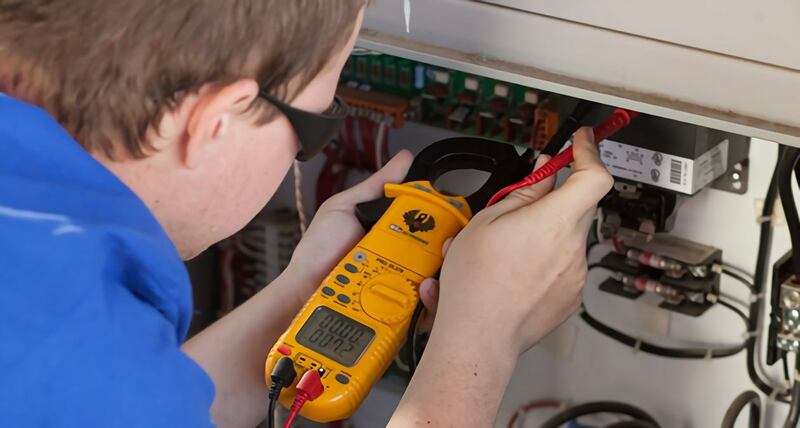 Electro-mechanical technicians typically have an associate’s degree 1 or postsecondary certificate from a vocational school or community college. Students should expect to study subjects related to algebra and trigonometry, science, and writing. Once a student has completed their program, there are a few different certifications they can pursue. These can help them bolster their resumes for employment, such as becoming a Certified Control Systems Technician through the International Society of Automation or becoming certified in electrical power testing from the National Institute for Certification in Engineering Technologies. Electro-mechanical technicians can expect to see a growth rate of about 4 percent in the upcoming decade. It is believed that their broad skill set will help professionals maintain employment, especially as demand increases for high-tech skills. New applications and new equipment designed by engineers will increase the need for electro-mechanical technicians who are trained in working with these advanced technologies. Furthermore, a rise in green technology will require technicians versed in that field. Salaries for employees tend to vary widely, depending on the specialty of the technician. According to the U.S. Bureau of Labor Statistics, median pay for electro-mechanical technicians in 2012 was almost $52,000. All in all, students who are interested in working with electro-mechanical equipment of study have a range of employment options available. Electro-mechanical technicians specifically focus on using and maintaining electromechanical equipment. Those interested in a career in electrical technology should look into whether an electro-mechanical technician program is a good fit for them.